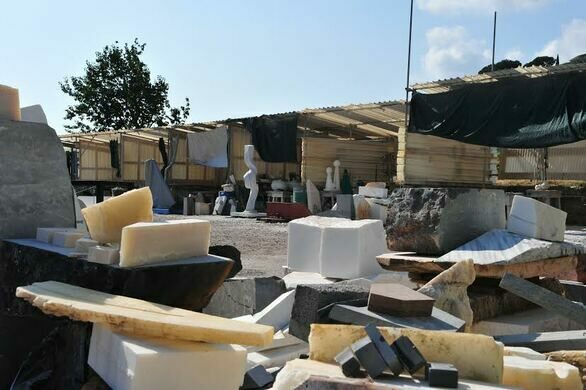 Join us on Obscura Day to explore the quarries of Carrara Marble outside Pietrasanta and visit a unique artist community of world-class sculptors. Led by sculptor Neal Barab, we'll be hiking to a giant quarry in the mountains of Alpi Apuane. 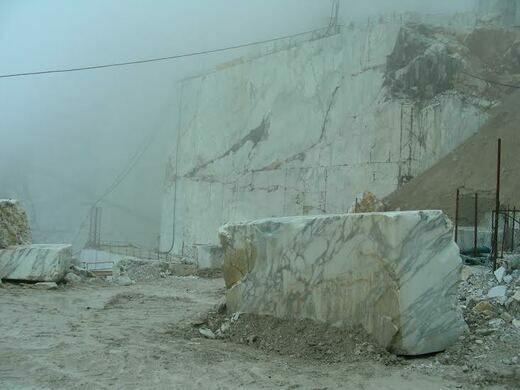 We'll have an opportunity to explore inside the quarry, where the roads and walls are all cut from a mountain of solid white marble. We will stand in rooms carved into the mountain, and look across the white mountaintop to the sea. The views are grandiose: breathtaking, inspiring, and intimate. The day’s activities will include a workshop in carving marble. Each visitor will have a chance to work with hand tools and a block of marble, gaining an appreciation for the work needed to create classical sculpture in premodern times, and a sense of the passion for the material which sculptors share. Guests will have lunch with, and view the artwork of the sculptors of Studio Pescarella, artists who have arrived from around the world to carve marble in the Sculptor's Paradise of Pietrasanta. Ticket Cost: €70, lunch included. All sales are final. If you are arriving by train, we will pick you up at the Forte de Marmi train station. Take the 9:53am train leaving from Florence, arriving at Forte de Marmi at 11:37am. For those driving to Pietrasanta, we'll be meeting at Studio Pescarella between 10 - 11am. If you are arriving by train, we will pick you up at the Forte de Marmi train station. Take the 9:53am train leaving from Florence, arriving at Forte de Marmi at 11:37am.